EdgeGard™ Dock Gates from Wildeck are durable, reliable and safe. 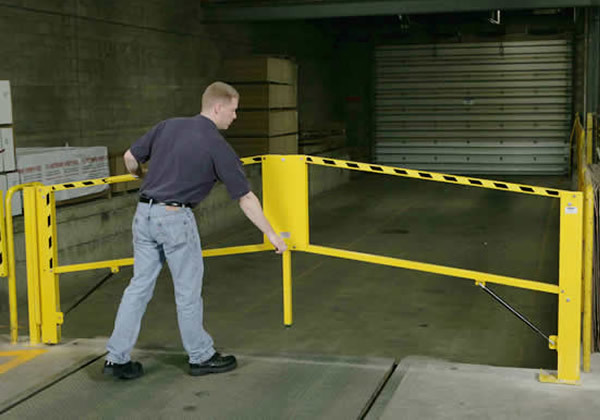 They are easy to install and operate, and provide an effective barrier for personnel and equipment working near open dock doors, truck loading pits or other hazardous areas. EdgeGard™ Dock Gates have Wildeck® quality built in. They are available as a Straight-Rail Gate, or unique Folding-Rail design that protects wider openings and minimizes the required clearance height. When properly anchored, EdgeGard™ gates meet the 200 lb. OSHA 1910.23 load force protection requirement. 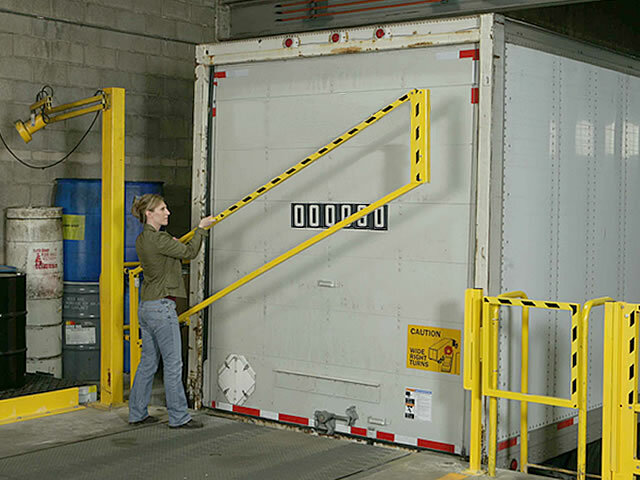 EdgeGard™ Gate top rails are 42” high (above floor level) when closed. Requires minimal floor space and is easily assembled and installed (appropriate anchors are required). 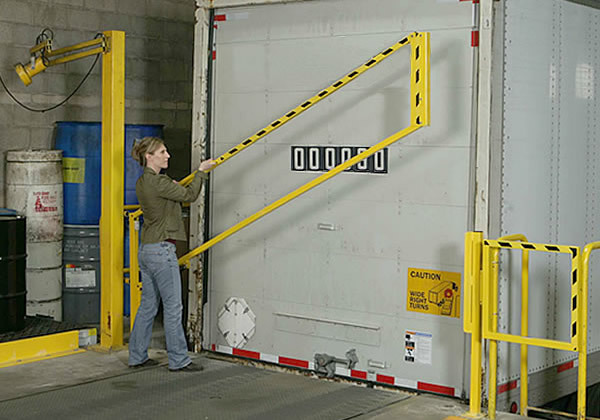 Counterbalanced gas cylinders allow easy lifting and safe gate operation. Strong balanced construction withstands 200 lbs. top rail pressure. Meets the OSHA 1910.23 load force protection requirement. Black safety stripe on bright yellow paint finish ensures high visibility. Quality Wildeck gates are manufactured in the USA and provide long service life. We are very pleased with Wildeck’s quality safety products and the outstanding customer service we have received. We would definitely purchase from them again. Quality Manager, Precision Gears, Inc.